Canadian Immigration Police Bureau Canada Service - Gateway to Canada | Canada Immigration Consultancy! There is no such thing as Canadian Immigration Police Bureau Canada Service. So if you receive an email from them offering you a job. Simply mark their email as spam. Here's a sample email forwarded to me by one of my blog readers. The Canadian Immigration Police Bureau Canada Service is part of the Home Office's Immigration and Nationality Directorate. The Canadian Immigration Police Bureau Canada Service has its Headquarters Building ; 1200 Vanier Parkway Ottawa ON K1A 0R2 and is responsible for controlling entry to the Canada . It has two directorates: the Border Control Directorate controls ports of entry and the Enforcement and Removals Directorate is responsible for the identification, monitoring, and removal or deportation of immigration offenders. The Aliens Act 1905 first created immigration officers with the power to control those entering Canada . Today it is the Immigration Act 1971 (as amended by subsequent legislation) which is the primary source of Canadian Immigrations powers. Although Canadian Immigration Officers are civil servants, they are also warranted officers with powers to search arrest and detain those suspected of breaching the Canada Immigration laws. They also have powers under Canada terrorism legislation. Canadian Immigration Officers work at all major airports and seaports. They also operate at the ferry and rail terminals, to prevent those lacking the appropriate documents from boarding passenger services to Canada . YOU ARE DEMANDED TO PROCURE THE FOLLOWING DOCUMENTS. 1. APPOINTMENT LETTER FROM THE HOTEL. We wait to receive the following to proceed with your application. The Canadian Immigration Police Bureau Canada assessment office will forward your application for work permit when these documents are received. It is important to bring you procedure that will make your application a reality. The Canadian immigration will assess your documents, and if approve, we shall submit your files to your country for final approval before your working visa will be issue after assessment and legal verification of documents you will be receive your visa hard copies documents by DHL or POST along with your visa appointment date to visit Canadian local embassy in your country with the below aforementioned. If you have a pending work permit application and is being required by this Canadian Immigration Police Bureau Canada Service to send them your LMO and any other document, ignore their email. Once you already have an LMO, the next step is to send your Temporary Resident Visa - Work Permit application to Canadian Visa Office responsible for your country. 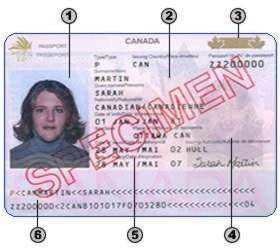 Information about Canada Visa application are available at the Citizenship and Immigration Canada website - http://cic.gc.ca.